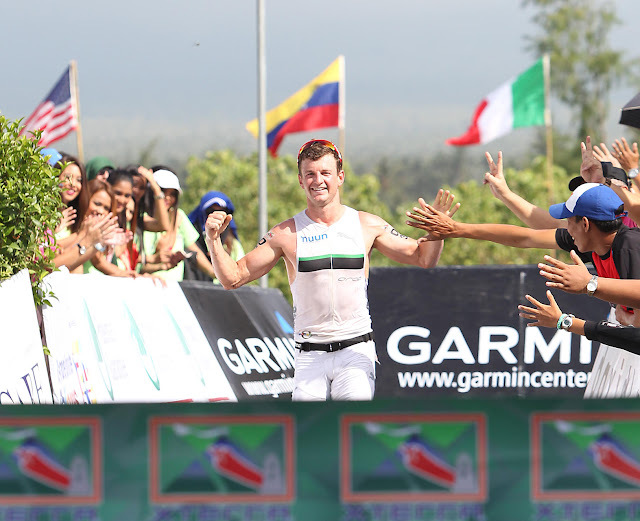 Defending champion Bradley Weiss seeks to dish out another explosive performance around majestic Mayon Volcano as he banners a stellar field in the XTERRA Albay 2016 on Feb. 7 in the Province of Albay. Out to foil Weiss' bid are 2015 male pro third-placer Ben Allen of Australia, 2015 fourth placer Brodie Gardner also of Australia, Charlie Epperson of Guam, Joseph Miller of the Philippines and Michal Bucek of Slovakia, who are all returning to Albay. Pros Lizzie Orchard, Taylor Charlton, Cameron O'Neal, and Hsieh Chung Sing are making their debut in the 2016 edition of the event organized and produced by Sunrise Events, Inc. and backed by official venue partners Province of Albay, City of Legaspi, Municipality of Daraga, Bayan ng Sto. Domingo, Official Courier and Logistics Partner 2Go Express, Cetaphil, Columbia, Finisher Pix, Shotz Sports Nutrition, Timex, David’s Salon, Department of Tourism + Tourism and Promotions Board and media partner The Philippine Star.